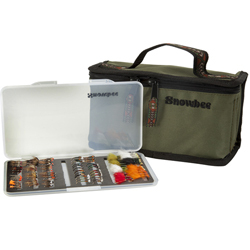 Snowbee Slimline Fly Box, Snowbee's new ultra-slim profile fly boxes take up the minimum of space and slip easily into any shirt or vest pocket, making them ideal for the roving bank or river angler. 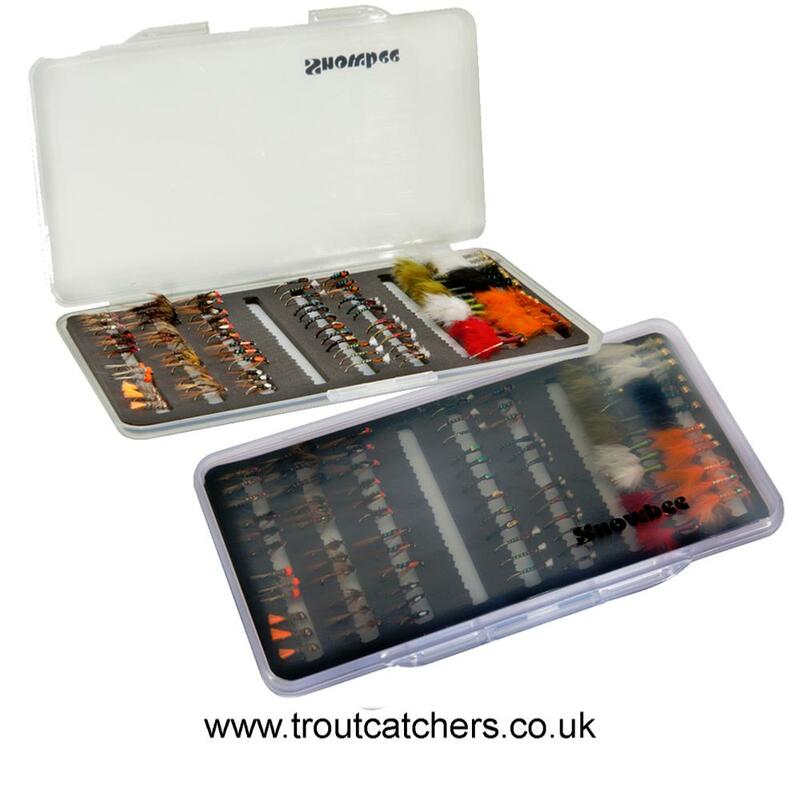 Manufactured from a tough, flexible, crack-proof ABS for durability, which is also 'see-through' on the lids for quick, easy fly selection. 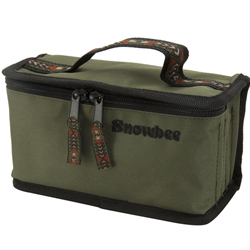 The high density, pre-slit ethafoam liners, hold flies firmly and neatly in position and although these are not a new idea, what makes Snowbee's boxes different, is the 'cut-outs' between the rows, which allow even large, hackled dry flies to be stored, without crushing the hackles. The ethafoam liners are mounted on white coloured back-cards, so flies show up more clearly, for easier fly selection. Each box has 9 rows of hookslots, holding up to an impressive 234 flies securely. Light and slim - very good. Small but accepts wet flies as well as dry. Good capacity, but seems a bit hard to open. This might ease up with use. 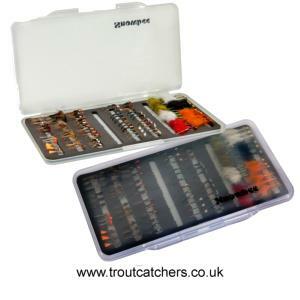 A much needed fly box for moving along the river.